Retailer of all kinds of shoes, slippers, sandals, sports shoes, boots. Dealers of ladies & children exclusive range. Deals in Hi Class of Footwear & leather Goods. Deals in Best quality of Footwear. 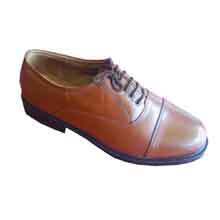 Manufacturers, Suppliers & Exporter of all Kinds Of Leather Shoes, Goods & Accessories. Deals in all kinds of Footwear. Deals in Leather Shoe, Formal leather Shoe, Sandles, Slippers, Casual Shoes, Top Heel Sandles & many more. We maintain a quality of excellence and durable footwear on reasonable rates. We are dealing in all kinds of footwear. We also supply oxford shoes, Industrial Boot.